I've heard that there are some safety and building code issues involved with using extension cords or power strips (surge protectors) for anything other than temporary use. 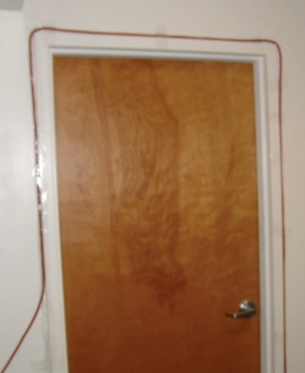 What are the issues, and how can extension cords be used safely? The average person does not think about how much power each device is drawing, or how much the system can handle, they just see an open outlet and plug stuff in. 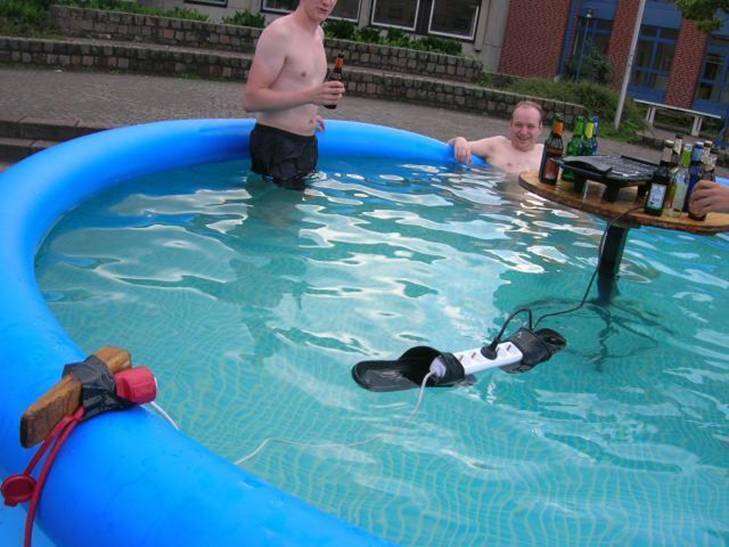 If they can't find an open outlet... Oh yeah! they make adapters for that! I mean they sell the adapters, so they must be safe... Right? If your power strips look like this (or worse), you better at least be checking the batteries in that smoke alarm (which is hopefully not plugged into this power strip too). If you are using the power strip (or extension cord) properly (one plug per outlet, no adapters, no daisy chaining) and you inspect the power strip for damage (wear & tear) regularly, you should not have much to fear. Another thing to look at when using a power strip or extension cord, is the size of the wire and the voltage and amperage ratings. If you are using things like electric heaters, power tools, vacuums, etc., make sure the wire (extension cord/power strip) is the proper size to handle the above average load of these types of devices. Overloaded wire can heat up quickly and cause a fire. Basically if you use common sense, inspect the cables for obvious damage and/or wear & tear regularly, and use the cables for their intended purpose, you should have no problems using extension cords and/or power strips. Here is some interesting stuff from The Office of Compliance about Power Strips and Dangerous Daisy Chains. OSHA regulations require that conductors and electrical equipment be used in accordance with the conditions under which they are approved by a recognized testing organization (29 CFR 1910.303(a)). Most power strips are approved for providing power to a maximum of four or six individual items; however, when multiple power strips are interconnected, the one directly connected to the building outlet is often supplying power to far more than the approved number. This electrical current overload can result in a fire or can cause a circuit breaker to trip, deenergizing computers and other equipment throughout the area. The risk is magnified when another outlet in the same wall or floor receptacle is also overloaded in a similar fashion. When other outlets on the same circuit are also overloaded, the risk increases. Extension cords are sometimes used to energize power strips in locations far from outlets. Because electrical resistance increases with increased power cord length, interconnecting cords increases the total resistance and resultant heat generation. 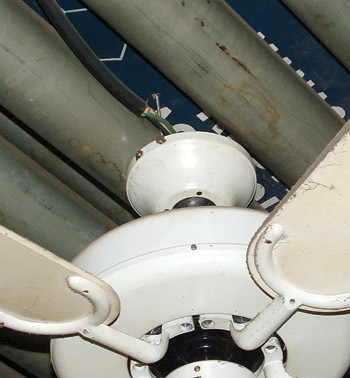 This creates an additional risk of equipment failure and fire, particularly when paper and other combustible materials are in contact with the wires. Additionally, OSHA’s regulations allow extension cords to be used only as temporary wiring for up to 90 days. 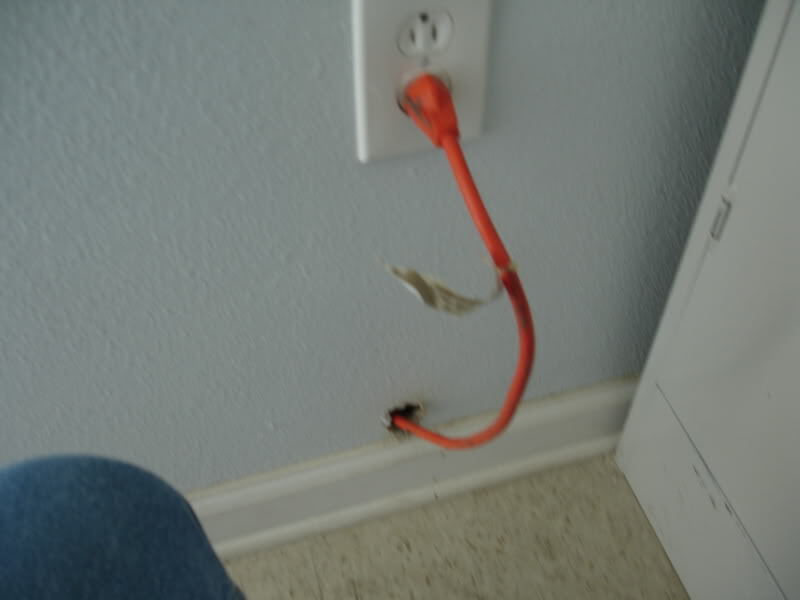 Unfortunately,once in place, extension cords tend to become permanent wiring and a fire hazard. Several safe solutions exist. In many cases, a power strip energized by an extension cord or another power strip can simply be replaced by a power strip with a power cord of adequate length to reach an outlet. Other times, use of a power strip that is better able to accommodate bulkier transformer plugs solves the problem. Several factors should be considered when selecting an appropriate surge protector. Since models vary in the amount of current that they are rated to safely carry, it is important to consider the amperage requirements of the devices to be energized. Models vary in length of power cord, typically ranging from three to 15 feet. Choose one whose length is most appropriate for reaching the intended room outlet. Avoid having too much excess cord, and make sure the surge protector is set on its base. Some have swivel plugs which makes them easier to connect to the outlet, and helps to protect the plug and cord from damage. Check each surge protector to make sure it is in good condition for use. Only power strips equipped with internal fuses are acceptable as permanent wiring. Those lacking these fuses are equivalent to extension cords, and therefore may not be used as permanent wiring. When a power strip is installed, care must be taken to ensure that it is not suspended in mid-air by its power cord or cords plugged into it, resulting in excessive stress on electrical connections. The National Electrical Code (NEC) has a whole article devoted to flexible cords and cables, one of the more applicable sections in this case would be 400.8. (1) The cord or cable shall be attached to the building by an approved means. (2) The length of the cord or cable from a busway plug-in device to a suitable tension take-up support device shall not exceed 1.8 m (6 ft). (3) The cord and cable shall be installed as a vertical riser from the tension take-up support device to the equipment served. 400.8(1) As a substitute for the fixed wiring of a structure. 400.8(2) Where run through holes in walls, structural ceilings, suspended ceilings, dropped ceilings, or floors. 400.8(3) Where run through doorways, windows, or similar openings. 400.8(4) Where attached to building surfaces. 400.8(5) Where concealed by walls, floors, or ceilings or located above suspended or dropped ceilings. If you have to join two extension cords together (for a longer reach), make sure the cables are both the appropriate gauge to handle the extra length. To prevent the ends from coming partially or fully disconnected (which can be annoying, and a possible shock/fire hazard), tie a simple knot to hold the cables together. Keep in mind that connecting too many cords together can be a fire hazard, and make sure you are using appropriately sized cables. Here is a good table from Home Depot for determining the minimum wire gauge recommendations for different devices and cord lengths. 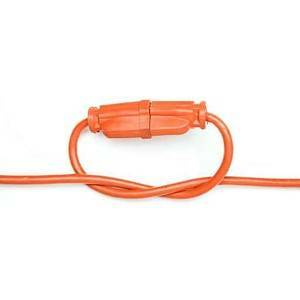 Buying Guides: Extension Cords. 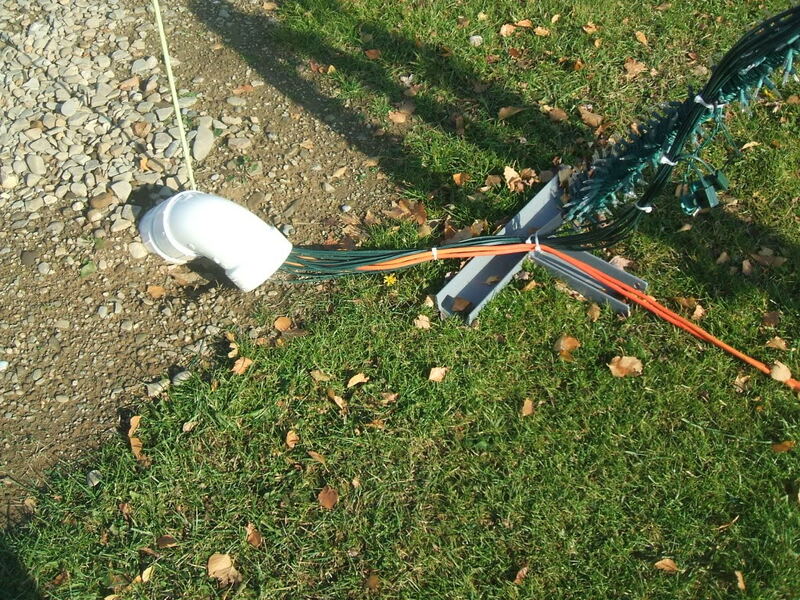 As an example if you want to use your circular saw at 100 ft., you'll need at least 12 AWG cable. 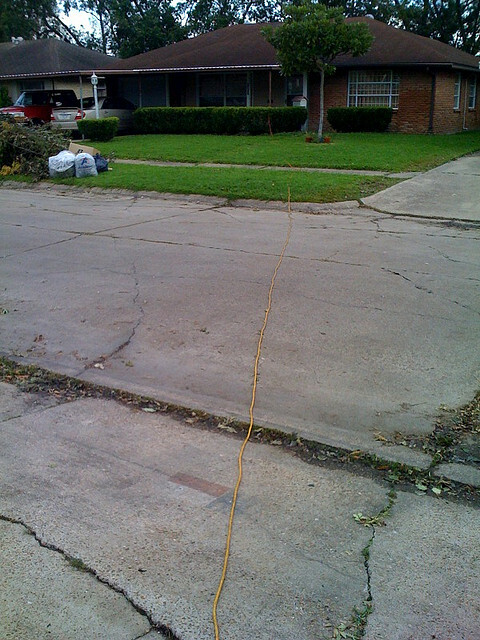 If you need to reach an extra 50 ft. (150 ft. total) and happen to have an extra 50 ft. extension cord, both cords should be at least 10 AWG. Don't run an extension cord under a rug. When people walk on the rug it will rub on the cord, and over time the friction can wear through the cord's insulation, leading to arcing which can cause a fire. This is one reason AFCI breakers are recommended and/or required, as they can shut off a circuit at the first sign of arcing. An extension cord is generally not fire-rated; the insulating covering over it will either sustain a fire (unlikely in most cases as they must still meet basic electrical fire codes), or release toxic chemicals when burned (more likely). Extension cords, though durable, are also not built for in-wall or under-floor installation; the insulation will after several years harden, crack and split, exposing the wire and causing a fire hazard. However, all this means is that such wires are not designed for permanent installation into a home. As long as you use it in a manner such that the cord can be unplugged, removed and thrown away when the cord deteriorates, and you expect that to happen after some years, especially outdoors, you're fine. Make sure any unused plugs are covered with a proper CSA approved plug or purchase surge protectors with covers to prevent dust from gathering inside the surge protector which can over time start a fire. Replace on a regular basis especially if you have a serious power surge in your neighbourhood. A good rule of thumb is when the warranty expires. 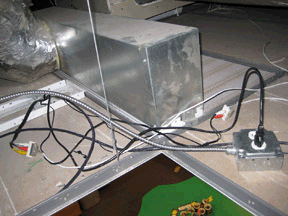 A regular home hardware surge protector does not meet standards for large office or medical equipment. Some surge protectors do come with indicators that show you are overloading the amps on the surge protector, but this is only useful if you keep and eye on the indicator. Most surge protectors are rated for only 15 AMPS but check your unit. Some surge suppressors are rated for only 12 AMPS or less. You can look at your appliance to determine how many amps it uses. For those that do not list amps use a calculator from Google to convert watts/volts=amps. 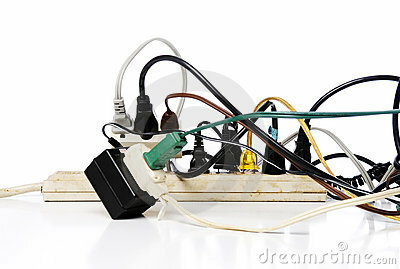 take the sum of amps from everything plugged into the unit to determine if it might be overloaded. How you can overload a surge protector is beyond me but I found some surge protectors running at almost double the recommended capacity for amps and not tripping. IE two computer systems running off of one line conditioner which had a rating of 12 amps but the total was 15.4 amps when computers were in use and another was office equipment running on a surge protector with a rating of 15 amps but the office equipment totaled 28 amps. Never put a wire through the wall. It does violate code. You can use a recessed power strip (link below). You don't have to spend $80 on it, there are a lot more that are cheaper, but the one I am linking to has a good picture of all the essential components. A kit like this is code-compliant. 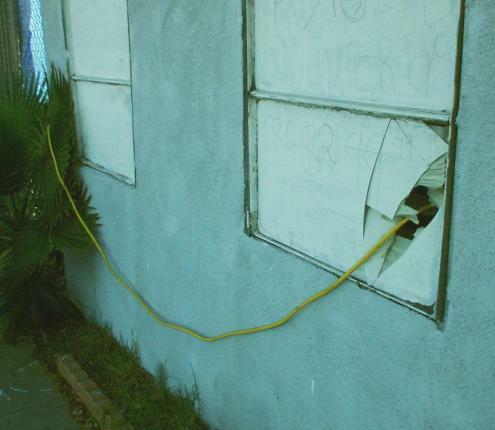 If you put an extension power cord through a wall, it may void homeowner insurance policy and it is a violation of fire code (I believe federally; I am not 100% sure). It is, however, unsafe regardless. Even if you think it's safe. The cord is not intended to be used inside of a wall. Not the answer you're looking for? Browse other questions tagged electrical safety building-regulations extension or ask your own question. Can I safely power a three-prong electrical device from a light socket? How can I connect a 120V compressor to a 3 phase WYE 208 electrical system? Why did my surge suppressor make a “pop” sound when I plugged something in? Is it safe to use Extension Cord to Power PC/Routers on already used circuit? Problem plugging surge protected power strip into gfci outlet?